Send cover letter and resume to: Don Han, Operations Manager at [email protected] Please submit cover letter and resume in pdf format. 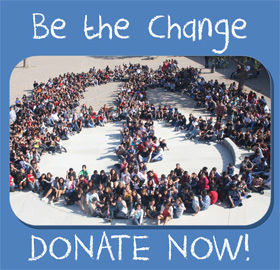 The Orange County Human Relations Council (more commonly known as OC Human Relations), established in 1991, is a non-profit 501(c)3 organization that develops and implements proactive human relations programs in partnership with schools, corporations, cities, foundations and individuals. Our mission is to foster mutual understanding among residents and eliminate prejudice, intolerance and discrimination in order to make Orange county a better place for ALL people to live, work, go to school and do business. The Development Associate is part of the Development Team and reports directly to Director of Development. The Development team consists of the Grant Writer, Director of Development and CEO. The Associate is responsible for supporting development activities for the organization’s annual fundraising campaign, annual fundraising event and donor relationship (stewardship) activities. Key duties include processing and acknowledging donations and maintaining the fundraising CRM database. The Development Associate may occasionally assist in drafting requests for support and helping support volunteer engagement opportunities with corporate partners, as well as other duties as required to support the Development efforts. This position will be hired at 40 hours week. The annual salary range based on experience: $40,768-$54,000. Salary and package will be prorated based on number of hours specified in employment contract.